The polymath Charles Sanders Peirce (1839–1914) came closer to solving the ultimate problem in human learning than any other before Integral Relational Logic began to appear in consciousness during the 1980s. We can see this most clearly through a profound inner transformation that he went through during the four years either side of his fiftieth birthday in 1889. Then in 1893, following a mystical experience that Peirce had had the year before, he wrote an unpublished essay titled ’Immortality in the Light of Synechism’, synechism from the Greek meaning ’holding together, continuous’. Peirce regarded continuity as a fundamental principle of existence, like David Bohm, concluding his three-page essay by saying, “though synechism is not religion, but, on the contrary, is a purely scientific philosophy, yet should it become generally accepted, as I confidently anticipate, it may play a part in the “onement of religion and science”. It seems that Peirce was being rather optimistic, for a century and a quarter later it is still not generally accepted that the Absolute, as a seamless continuum with no divisions or borders anywhere, is Ultimate Reality. Yet unifying the concepts of God and Universe, the incompatible contexts for religion and science, respectively, as I set out to do as a seven-year-old, is not only essential for World Peace. In my experience, realizing that we humans are never separate from Divine Reality is also absolutely essential if we are to face the imminent extinction of our species with equanimity. Here is not the place to describe how Peirce’s triadic architectonic has evolved into Integral Relational Logic and the Unified Relationships Theory, for I have done so in my unpublished book on The Theory of Everything and other writings. All I would like to do here is look at a couple of similarities between Peirce’s relationship to society and my own. He was and I have been ostracized by academia, this having a more devastating effect on Peirce’s finances than on my own. For while I have survived with a pension that I received from working for IBM for twenty years in London and Stockholm, Peirce had no pension from working for the United States Coast Survey for thirty years. In the end, William James came to Peirce’s rescue, collecting donations from friends to support him in his old age. Secondly, how do you actually publish the solution to the ultimate problem in human learning, as a megasynthesis of all knowledge, transcending all specialist disciplines of learning? While Peirce wrote many published articles and gave several series of lectures, he never managed to finish a book on his architectonic, making three distinct attempts. When he died, his widow donated all his writings to the department of philosophy at Harvard, which number some 80,000 manuscript-pages. Much of what Peirce wrote remains in manuscript form, unpublished and in significant disarray. If all the writings that exist at Harvard and elsewhere were to be published, they would constitute around a hundred volumes. For myself, I am nowhere as learned as Peirce was and only a handful of my essays have been published in the UK and India, with the remainder mainly on my computer and on the Web. Regarding publishing books, as a generalist in a world of specialists, it is not clear to me how to find content editors who could help me publish my books, even if there is a market for them. But how else are we to complete the final revolution in science, giving humanity the life-shock that is needed to awaken us from our complacency? This, essentially, is what I have done by generalizing the abstract information systems modelling methods that underlie the Internet, completing Peirce’s life’s quest. However, Joseph Brent, Peirce’s biographer, thought that Peirce’s intention to make the entire work of human reason “a string of footnotes to his own philosophical system” to be manifestly hubristic. So what to do? Peirce’s logic of relatives evolved into Ted Codd’s relational model of data, giving rise to a multibillion-dollar database industry, then evolving into Integral Relational Logic, providing the coherent framework for The Theory of Everything. It is surely no coincidence that Codd’s Ph. D. supervisor was Arthur Burks, who edited Volumes VII and VIII of Peirce’s Collected Papers in 1958, producing an invaluable Bibliography for these published writings. I never met Ted Codd, but I did hear him speak at Wembley Conference Centre in 1973 when working as a systems engineer in an IBM sales office in London, showing how the basic resource of the data-processing industry—data itself—could be represented in mathematical terms. It was crystal clear that Codd’s paper was the most significant in the entire history of the industry, introducing the most radical change in Western logic since Aristotle, transforming deductive reasoning into nondeductive, as I have since discovered. 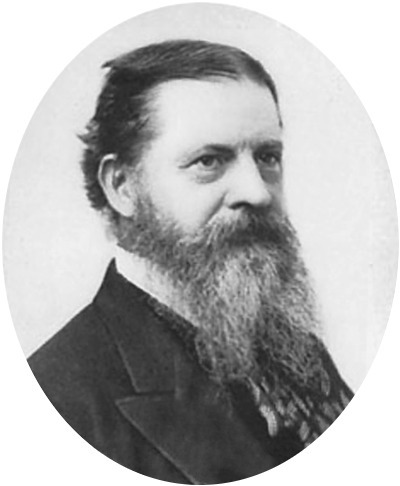 However, it was not until forty years later that I discovered the link to Peirce’s own endeavours to create a comprehensive scientific method and system of reasoning that could reveal the Universe’s innermost secrets. For three months, I had all eight volumes of Peirce’s thematic Collected Works, seven volumes of his chronological Writings, and four volumes on Mathematics on my bookshelf, borrowed from the nearby Gothenburg University Library. During this period, nobody else made a request for any of these volumes, indicating that Peirce is still not recognized as a giant in human learning, eulogized by Max H. Fisch in 1981 as “the most original and the most versatile intellect that the Americas have so far produced”. Since then, Ken Wilber has become a leading intellectual figure in the USA, but he too only paid a scant regard to Peirce’s immense contribution. I trust that by showing where Ken’s AQAL, short for “all quadrants, all levels”, which is short for “all quadrants, all levels, all lines, all states, all types” fits into the history of ideas, as an example of an ‘Integral Operating System’, or IOS, we could give Peirce the honour that is his due.